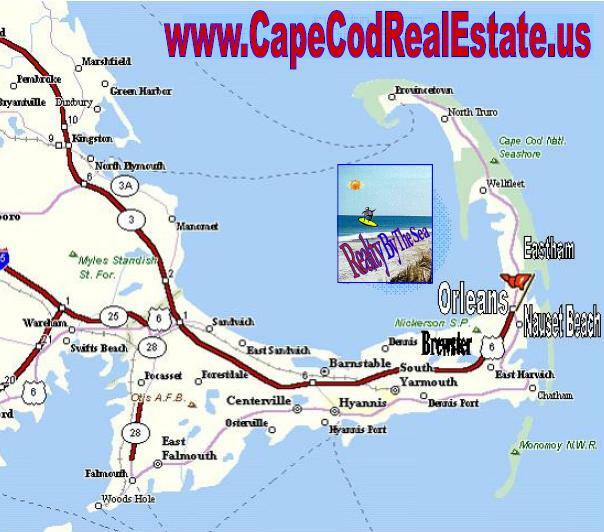 Orleans MA Cape Cod information! 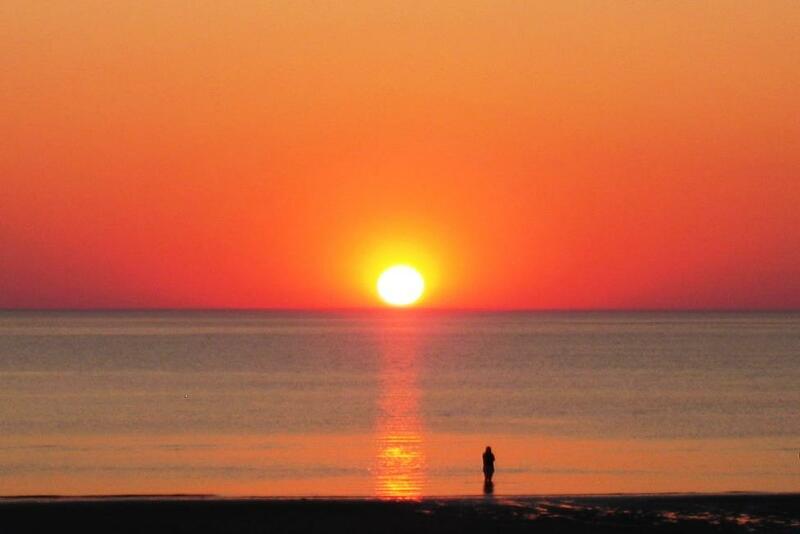 Our corner of Cape Cod has something to offer everyone. Orleans is one of the few places anywhere from which you can watch the sun rise from the ocean and then, at the end of the day, see it set again into the sea. Of the fifteen towns in the peninsula that is Cape Cod, the only one with the distinction of having a French name is Orleans. The others all have either English or Indian names. Orleans is named after Louis-Philippe de Bourbon, Duke of Orleans (1773-1850), who was later to rule as King of the French from 1830 to 1848. He reputedly visited this area in the 1790s while in exile following the French Revolution. 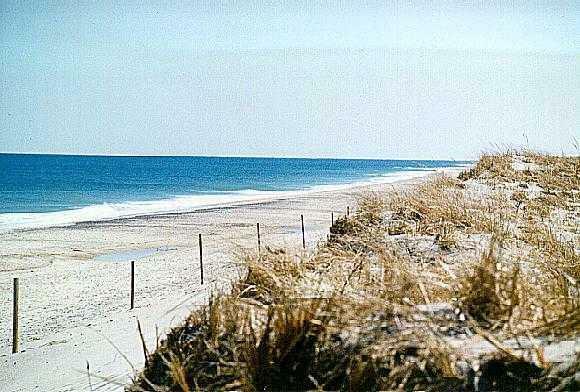 The most obvious water influences on the town are Nauset Beach with it's rolling sand dunes, dashing surf and wide sands, which gives access to the vast expanses of the ever-changing ocean, and Skaket Beach on Cape Cod Bay, where low tide takes the water miles away and exposes sandy flats and sun-warmed, shell-filled tidal pools. Quaint and quiet Meetinghouse Pond, home to many smaller boats with access down the winding and very scenic "The River" gently flowing out to little Pleasant Bay and beyond... Orleans holds within its boundaries much of Town Cove and the picturesque Pleasant Bay. There are salt marshes, saltwater tidal ponds and rivers, great freshwater ponds and dozens of kettle hole ponds scattered around town like shiny chips of silver, all of which hold a vast array of life. Orleans is a Fisherman's Paradise from early spring, when the flounder begin to stir, till late fall when the approach of winter drives striped bass and bluefish towards warmer climes, there's enough action of one sort or another on the saltwater scene to satisfy the most demanding nimrod. Fishing, boating, birding, and swimming abound. 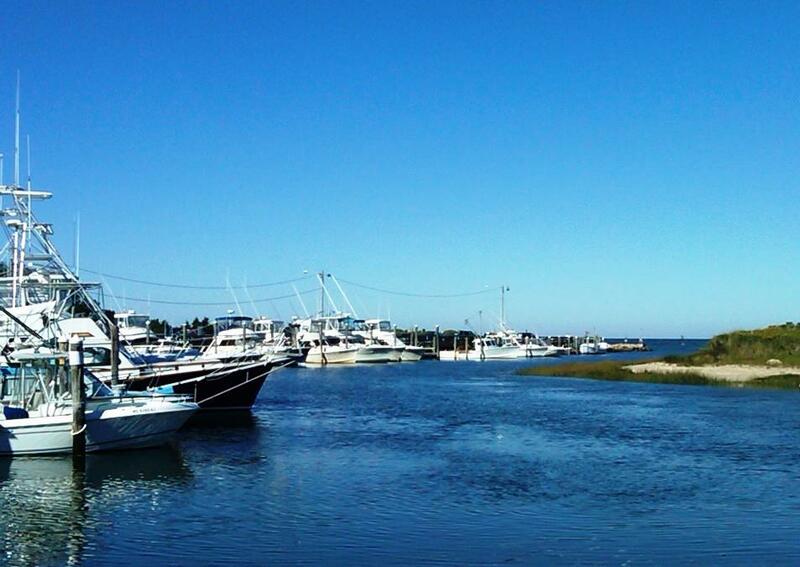 Rock Harbor on Cape Cod Bay is berth to one of the northeast coastline's largest sport fishing fleets. Like other Cape towns, Orleans relies heavily on tourism as its primary industry, but it is also recognized (at times to residents' dismay) as the commercial hub of the Outer Cape. The town is bookended by shopping plazas; one anchored by Super Stop & Shop, the other by Star Market and a local favorite - Friend's Market is in the center of town. Many people from the "Mid" to "Lower" and "Outer" Cape towns of Brewster, Eastham, Wellfleet, Truro and Provincetown travel to Orleans to shop. In addition to supermarkets, the town has clothing, furniture, hardware, appliance, and jewelry stores. Its many pharmacies, a large medical clinic, host of private doctors' offices, rehabilitation clinic and two medical laboratories make it a destination on the lower Cape for medical care as well. The town provides other important services through the many insurance agencies, banks, financial planners and Realtors based there. Our office Realty By The Sea is located in "Post Office Square" in the center of town at 56 Main Street - stop by and say hello! or Call Henri at 508-240-2332 ext 12 or click here to email me today! Few towns rival Orleans when it comes to restaurant dining. From seasonal open air dining where the freshest seafood is served, to a very casual Cape Cod landmark hidden next to the Nauset Fish Market - Sir Cricket's Fish 'n Chips to the most casual pub style is the locals' year-round favorite, the Land Ho! as well as the very popular Rock Harbor Grill, to fine meals served in The Nauset Beach Club, Mahoney's Atlantic Bar & Grill, or old sea captain's homes, such as the Captain Linnell House or The Barley Neck Inn, Orleans has enough to choose from to suit any palate. A healthy year-round population of roughly 6,700 residents keeps most everything in Orleans open, unlike some of its neighbors, which, seem to close down completely after Columbus Day Weekend in October. Orleans is an important player in the Outer Cape education scene. It is home to the Nauset Regional Middle School, attended by more than 800 sixth through eighth graders from the towns of Brewster, Eastham, Orleans and Wellfleet. The school system's central administration is also located on the middle school grounds. Down the road a bit is the Cape Cod Lighthouse Charter School, one of 25 experimental schools formed under the state's Education Reform Act. The school has approximately 130 students, most of whom come from the Nauset Region. The town enjoys a healthy and varied plateful of cultural events. The old Academy of Performing Arts is both a center that provides amateur theater performances, and a busy school providing hundreds of students of all ages dance, theater and musical instruction. The Cape Cod Chamber Music Festival performs regularly at the old Historical Society's Meetinghouse. There are band concerts in the gazebo at Nauset Beach all summer long and, each summer in August, the entire town and its visitors come out en masse for Pops in the Park. The concert, which is performed outdoors under the stars by the Cape Cod Symphony Orchestra, is as much enjoyed for the music as it is for the picnicking that goes on pre-concert on the field. Candlelit dinners rival Tanglewood's in variety and flair. If sports are more your game, Orleans once again has something to offer. Eldredge Park is home to the Orleans Firebirds (formerly the Orleans Cardinals), one of the oldest teams in the Cape's premier college baseball league. On summer nights, games under the lights draw huge, happy crowds, and the crack of the bat echoes through darkened streets. Click here for the Cape Cod Baseball League's website! The Lower Cape Open tennis tournament, another summer event held in late August, draws hundreds of tennis players from around the country, many of whom plan their vacations around the event. The event is more than two decades old and an Orleans tradition for players and fans alike. The smaller Indian Summer tennis tournament occurs each fall for Outer Cape residents only. Stunning waterfront vistas aside, Orleans is a very New England kind of town. Old Capes, large Victorians and Colonial homes sit on sprawling lawns or nestle in among crowded flower gardens. White church spires stand out on blue-sky days. There are Catholic, Methodist, Episcopal and Congregational churches in town; the nearest synagogue is in Hyannis. The town of Orleans is one of the few Cape towns formed by the first Pilgrim settlers who left Plymouth Colony. With more than 50 percent of its residents over the age of 55, Orleans has the second oldest population in the state, with the neighboring town of Chatham having the oldest. If you've never spent any time on Cape Cod during the off-season, you're in for a special treat. After Labor Day, the Cape warms to an Indian Summer glow throughout most of the fall. This is a good time to take full advantage of all the natural beauty that Cape Cod has to offer, in her Natural and State Parks, nature trails, museums and cultural offerings. The mild climate of the Cape opens the out of doors to you almost year-round!